A denture is a removable replacement for missing teeth and surrounding tissues. 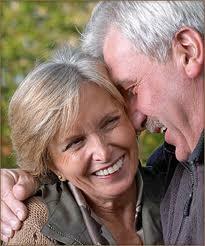 Two types of dentures are available - complete and partial dentures. Complete dentures are used when all the teeth are missing, while partial dentures are used when some natural teeth remain. Partial dentures have clasps to secure the denture to nearby natural teeth. 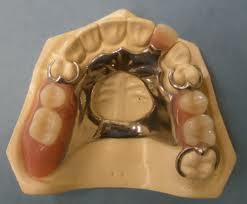 Partial dentures can be made of acrylic or metal framework and acrylic. The metal framework is used for extra strength and is the recommended type of partial denture. Dentures are custom made and like a tailor made suit, involve a series of appointments. Impressions, bite records, trial wax insertions and then the final insertion are required to construct a functional denture which looks natural and is comfortable for you to wear.